Most kids and quite a few parents will be quick to tell you that they do not like Brussels Sprouts. Before culinary school, I would have also told you that I couldn’t stand them. I had tried them on many occasions, each time convinced that they must not have been that bad, just to have been reminded a few bites later that they really were. Then I learned how to properly cook Brussels Sprouts. I learned that they actually could taste good, I just hadn’t had them cooked properly. Remember that saying that everything is better with bacon? It definitely holds true for Brussels sprouts. 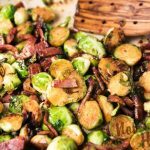 This Sauteed Brussel Sprouts with Bacon recipe will leave even the pickiest eater begging for more. 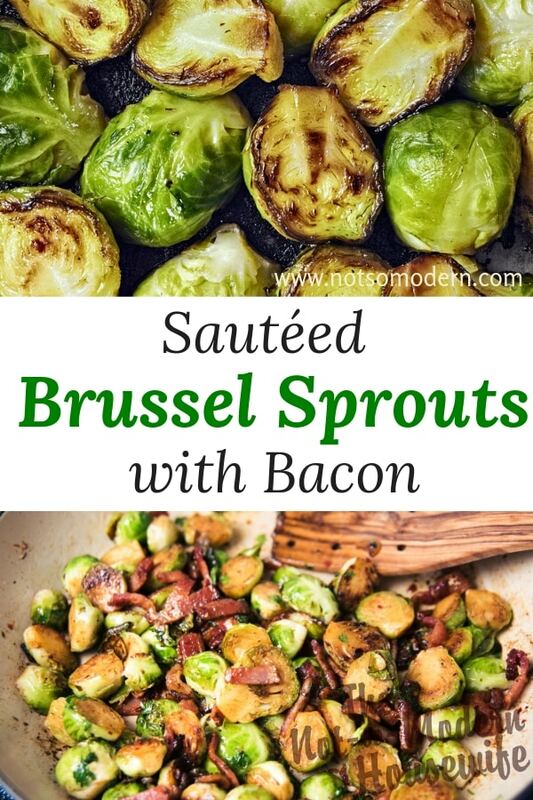 There are two key points to enjoyable Brussel Sprouts: do NOT over cook the sprouts and BACON. First, you want to render the fat from a few pieces of bacon. If you normally bake your bacon in the oven, you’ll want to fry it in a skillet this time. One trick that I’ve learned is to fry the bacon strips in a little bit if water. This will make the bacon more crispy. Don’t use too much water though because it will take longer for the bacon to cook. They really don’t start to brown until after the water has evaporated. Once the bacon is done, place on a paper towel lined plate to drain and cool. Reserve the rest of the bacon fat in the saute pan. You will be sauteing the Brussels Sprouts in the bacon fat. Boil a pot of salted water. 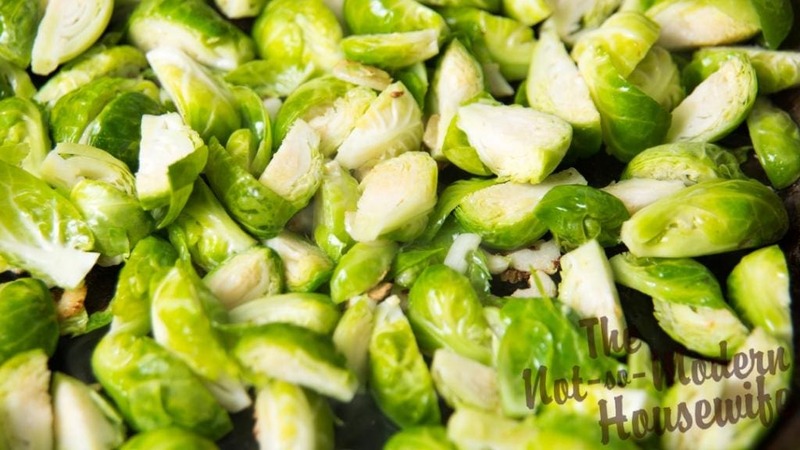 Cut the ends off of the Brussels Sprouts and remove any brown or wilted leaves. Make a cross in the base of the Brussels Sprout with your knife. Cook the Brussels Sprouts in the boiling salted water until al dente. Once done (smaller sprouts will be done before larger ones), remove from water and cut in half. 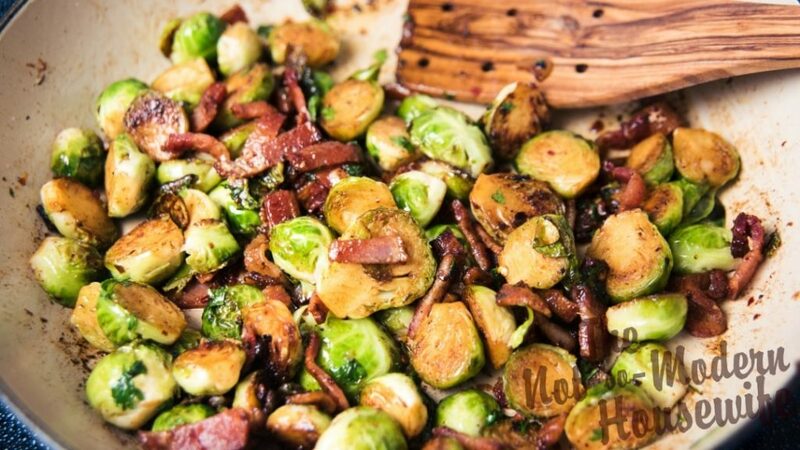 Place halved Brussels Sprouts in saute pan with bacon fat. Saute until golden brown on all sides. 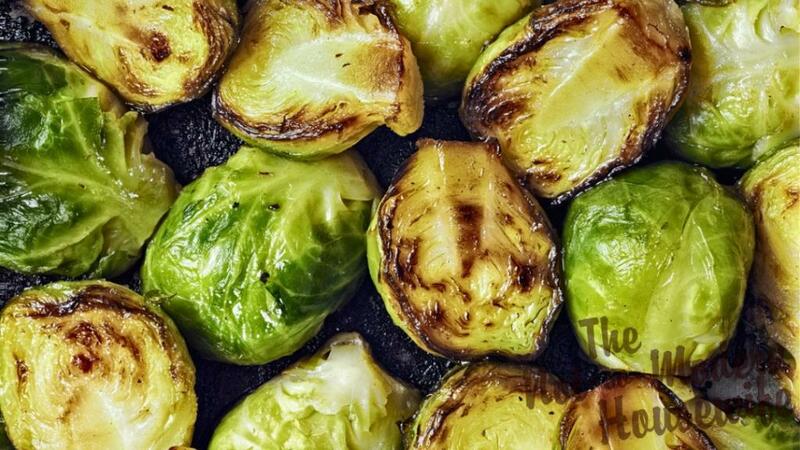 Drain the Brussel Sprouts in a colander with a paper towel under it. Transfer to a serving dish. Crumble up your bacon and toss in with your Brussels Sprouts. Serve warm. First, you want to render the fat from a few pieces of bacon. If you normally bake your bacon in the oven, you'll want to fry it in a skillet this time. One trick that I've learned is to fry the bacon strips in a little bit if water. This will make the bacon more crispy. Don't use too much water though because it will take longer for the bacon to cook. They really don't start to brown until after the water has evaporated. THIS SOUNDS DELISH! I USED TO BE A HATER TOO BUT NOW THAT I AM OLDER, I LOVE BRUSSEL SPROUTS. I THINK I WILL MAKE THIS FOR THANKSGIVING!